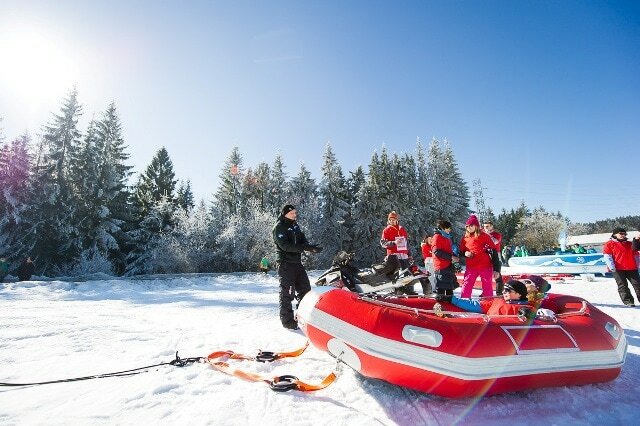 Snow Rafting is a winter attraction for groups and individual tourists – unheard on a daily basis, a combination of a pontoon and snowmobile. In a specially prepared area, we will organize the event in snow rafting, where snowmobile led by our instructor hooked up 2 or 4-person raft at high but safe speed will be pulled on high snowdrifts. Great fun for everyone guaranteed. 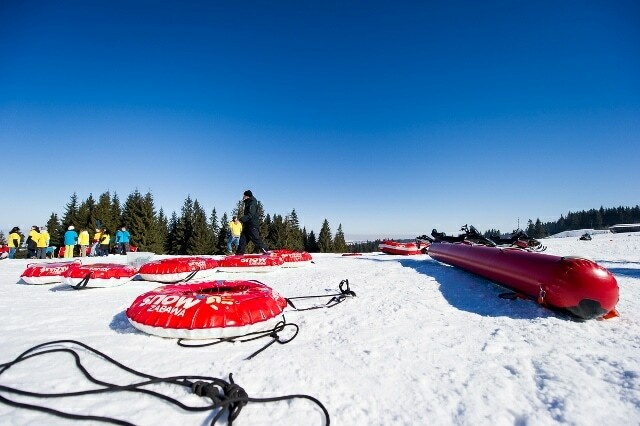 Snow Tubing – a great winter attraction, a crazy ride on blown wheels pulled by a snowmobile operated by our guide on a specially prepared area – adrenaline, a lot of joy and much laughter for everyone. Extreme Slide – that is a ride on a blown board behind the snowmobile where the participant lies on his belly. A lot of fun and emotions for everyone – the most powerful attraction of this type in our set. Here the participants need to demonstrate a good balance of the body and the ability to predict routes. 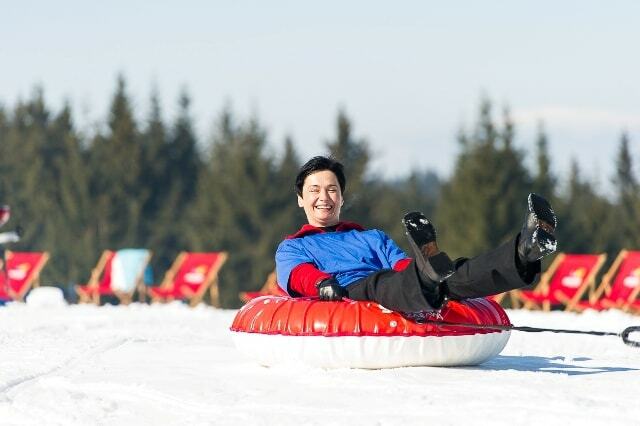 Winter Tube – a 5 meters long blown tube, which is pulled through the snow behind snowmobile is a challenge for participants sitting on it. The whole trick is to harmonise the team for as long as you have kept to the running tube. Lots of adrenaline and fantastic pleasure guaranteed. 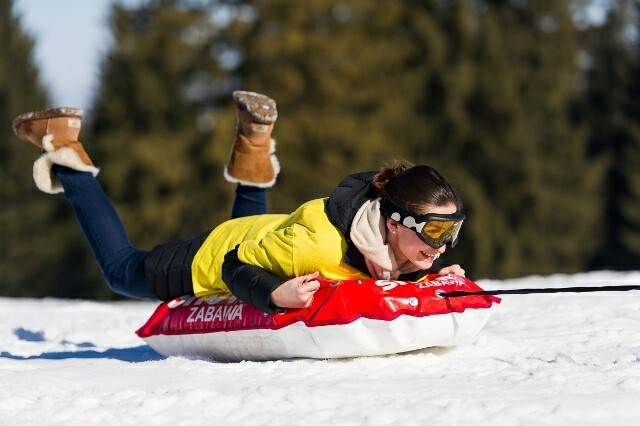 Snow Banana – a ride on a blown banana pulled by a snowmobile led by an instructor with high, but safe speed. Well-known to everyone form of team attraction, this time in winter edition. A lot of emotions and fun for all participants. 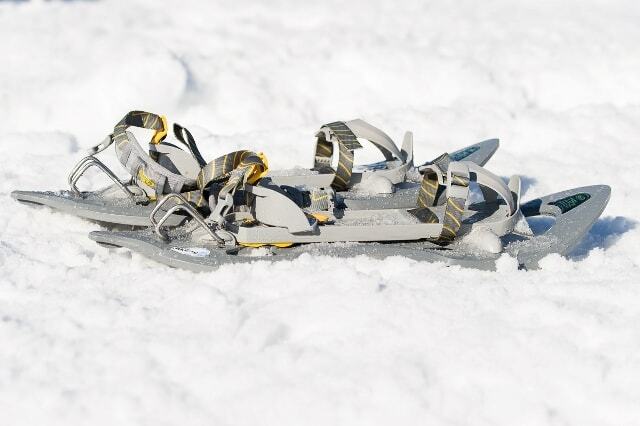 Snowshoes – rental snowshoes. A very interesting, guaranteeing a good entertainment form of spending time actively in the group. 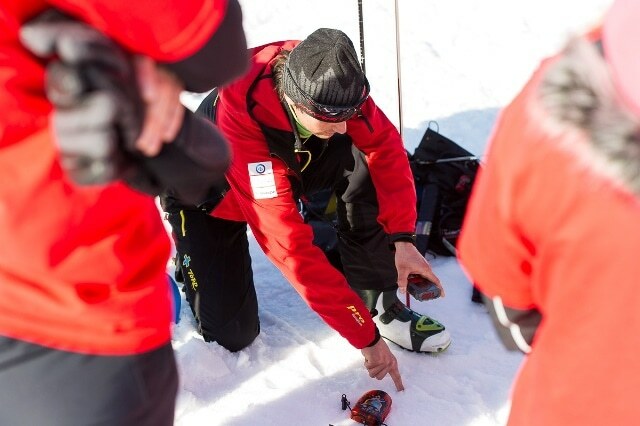 During the trip everyone can see how it is easy to go on a meter high snow when use the snowshoes. 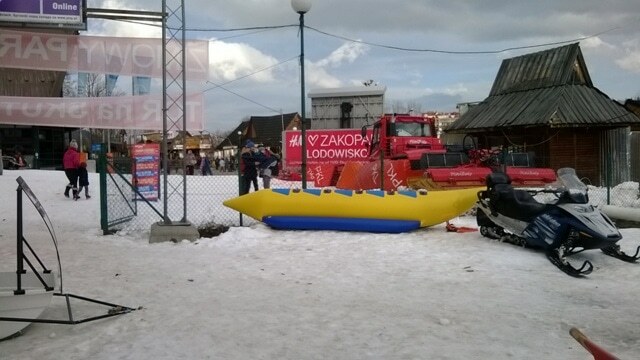 Snowdoo in Zakopane – we organize snow safari – daily winter expeditions on snowmobiles in Zakopane – Gubałówka. Our snowmobile rental offers several snowmobiles of a brand SkiDoo. In winter season, every day we organize tours on snowmobiles with guide for individual tourists and groups. In our offer you can find also social events, events for companies, company trips, activities for groups. Copyright © 2018 Snowdoo. All rights reserved.